My Life in Books will feature the ten most influential books on the life of my guest writer. I hope you’ll be as fascinated as I am to find out why each choice has had such an impact on them. Please welcome, Amanda Saint, author of As If I Were A River. 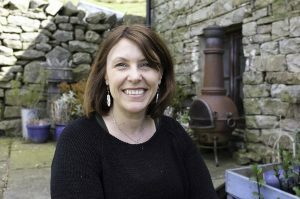 I’m very honoured to have been invited to be the first guest author on this lovely new books blog. Thanks for having me, Ruby. When I started to think about my list I wasn’t sure whether to choose the books that have influenced me as a reader or a writer, then I realised that all of the books I read do both. I’ve never forgotten the first time I read this book and sobbed on the bus on the way home from work, scaring the man sitting next to me! Alice’s story of falling in love came along at a time when my life looked a lot like hers so I was completely swept away into her world and could really relate to her. This remains one of the most impressive debut novels I’ve read. As well as the tragic love triangle story of Georgie, Jim and Luther, the landscape of Western Australia is a major character in this book and I was transported there from a cold, wet and dark English winter when I first read this novel. It’s very sad but hopeful too – my favourite combination in a book – and the insights into human relationships are so powerful. 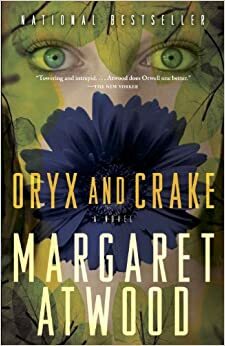 I had to limit myself to how many Margaret Atwood books I put on this list! 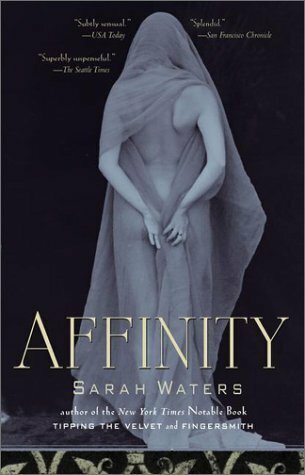 This is the first novel I read of hers when I was in my early 20s. 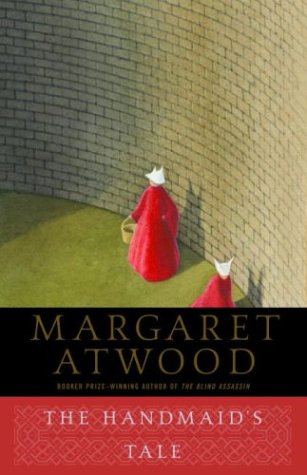 I’m a big reader of dystopian/speculative fiction and there have not been many since that have surpassed Offred’s story for me. Scarily, the reality of her world still seems like it could come true. The first of the MaddAddam trilogy, this works as a standalone novel and the main character Jimmy is just great. Maddening, funny, sad, annoying. He’s very real and the predicament he finds himself in is not that hard to imagine coming true either. This taps into my obsession with the world as we know it ending, which probably is already coming true it’s just that it’s happening incrementally rather than in a catastrophic event, like Jimmy’s does. This is the life story of Dolores Price (and some of America’s too) and her voice is amazing. That’s what keeps on drawing me back despite how sad and harrowing the tale is at times. And because the novel doesn’t have a neat happy ending but still leaves you feeling very satisfied. Another speculative story that really grabbed my imagination as I write about climate change a lot as a features journalist and this novel takes us into a new ice age rather than a much hotter and wetter world as most climatologists predict. But it’s the main character Saul and how lost he is, and how much he tries to do the right thing but always gets it wrong, that really made the story for me. How it shows that whatever the world we live in, human fears, frailties and strengths remain the same. Filled with sultry summer heat and a creeping sense of menace this is the story of two sisters, Nina and Isabel, who are hard to fathom, hard to like, hard to forget. Helen Dunmore’s writing is beautiful and evocative meaning I return to this story often, even though it always leaves me feeling very unsettled. Victorian Gothic novels are another genre I like a lot and for me this is the best of them all. The main character, Peggy, is confused and unhappy so becomes a lady visitor to the women convicts at Millbank Prison. A job that’s supposed to help her recover from her suicide attempt but ends up making her more confused than ever when she strikes up a relationship with the prisoner, Selina Dawes, who talks to the dead. Atmospheric and creepy! I’m fascinated by spiritualism and whether it really is true or not. I love this because it completely captures the abandonment and nihilism of a hedonistic youth. But also because it deals with some serious subjects, including drug addiction and self-worth, and is very funny at the same time. Rachel is a brilliant character who I completely got and rooted for even when she was behaving really badly. It always leaves me with the sense that love is really all you need. This tale of friendship and betrayal has so many layers that I find something new on every read. Set in a remote community in the Karoo region of South Africa, again this is a novel where the landscape is an important character. There’s another love triangle too and a sense right from the start that things probably aren’t going to end well for the main character, Adam, a wannabe poet seeking to find himself after spending years in a corporate career he’s just been sacked from. Amanda Saint is a novelist, short story writer and features journalist. Her debut novel, As If I Were A River, is out now with Urbane Publications. She also founded and runs her own business, Retreat West, providing lots of different creative writing events and editorial services.